Communication Studies is the perfect major for students with multiple interests and diverse talents. 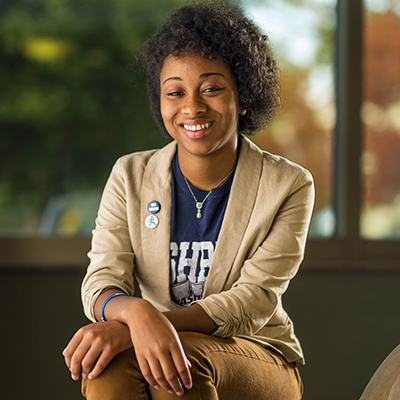 When you study communication at Washburn you’ll learn about theories, tools and techniques for analyzing, managing and improving communication in every arena of human interaction in both professional and personal contexts. What’s more, effective communication skills are in great demand in today’s competitive market and Washburn has a great cadre of faculty ready and willing to assist you in your career and your academic choices. The Department of Communication Studies' curriculum is designed to develop the student both academically and professionally. Students will acquire oral and written communication skills that enhance their career goals and also prepare them for advanced degrees in the discipline. Like the major, a minor in communication studies is useful in any field of study and in any profession. 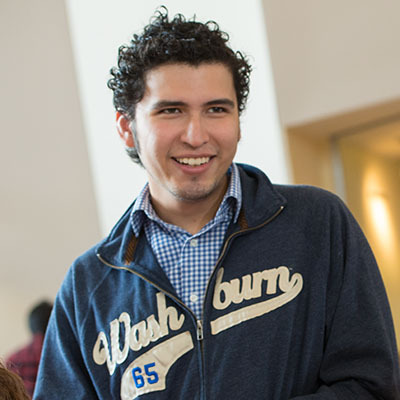 In fact, it makes an ideal complement to a number of courses of study at Washburn including business, mass media and education to name a few. The Master of Arts in Communication and Leadership helps you become a collaborative and innovative leader who demonstrates effective communication skills, self-awareness and strategic thinking. Communication Studies majors can put their skills to use in a wide variety of careers. You'll find our graduates working in human resources, writing speeches, working with lobbyists and public information officers and throughout corporate and non-profit management. You'll find your skills will fit most any career that intersts you. In short, this major prepares students for success. Communication Studies majors also go to graduate school, law school and earn many other professional degrees. Communication Studies majors have many internship options and we actively encourage our student to take advantage of the opportunity. Our graduates have gained great experience at Washburn as they interned for political offices, banks, hospitals, not-for-profit organizations, law firms and various corporations.